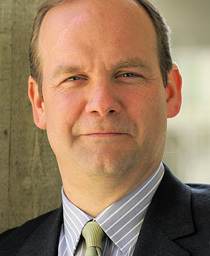 Todd Landman is Professor of Political Science and Pro Vice Chancellor of Social Sciences at the University of Nottingham. He was Professor of Government (2009-2015) and Executive Dean of the Social Sciences at the University of Essex (2013-2015), and has held a variety of academic and leadership roles at the University of Essex since 1993. He is author of Human Rights and Democracy: The Precarious Triumph of Ideals (Bloomsbury 2013), Protecting Human Rights (Georgetown University Press 2005), Studying Human Rights (Routledge 2006), and Issues and Methods in Comparative Politics (Routledge 2000, 2003, 2008); co-author of Measuring Human Rights (Routledge 2009), Assessing the Quality of Democracy (International IDEA 2008); Governing Latin America (Polity Press 2003), and Citizenship Rights and Social Movements (Oxford University Press 1997, 2000); editor of Human Rights Volumes I-IV (Sage 2009), and co-editor of the Sage Handbook of Comparative Politics (Sage 2009) and Real Social Science: Applied Phronesis (Cambridge University Press 2012). He has numerous articles published in International Studies Quarterly, The British Journal of Political Science, Human Rights Quarterly, Democratization, Political Studies, The Journal of Human Rights, The British Journal of Politics and International Relations, Electoral Studies, Human Rights and Human Welfare, Public Law and The California Western International Law Journal. He has carried out a large number of international consultancies in the areas of development, democracy and human rights, and is engaged in values measurement, change management, and leadership work for large organisations in the public and private sectors. He is an Associate of the Inner Magic Circle with Silver Star (AIMC) and Fellow of the Royal Society for the Arts (FRSA).